The bottom line for Condo Association fiduciary duty is that decisions must be made for the whole Association – not an Owner, not a Board member, but the community as a whole. 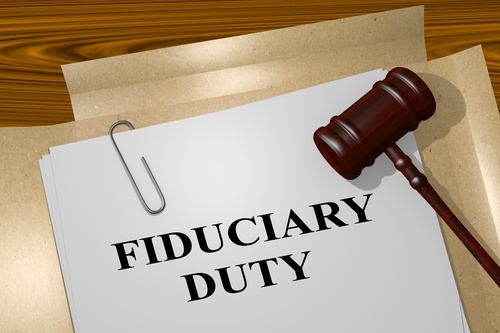 Here are some practical considerations of carrying out Condo Association fiduciary duty. Carry out your Fiduciary Duty, and don’t be a jerk. This one is easy, but it must be mentioned. Don’t be corrupt – don’t embezzle, don’t steer contracts to vendors where you have a relationship or they offer you kickbacks. Just don’t do it – it’s illegal, and it’s wrong. If you are confused about conflicts of interest and what they are, many free resources exist for new Condo Board members to be trained on this topic and others. For example Florida and Maryland both require training. Most of these training resources can be accessed by anyone. This is one of the toughest concepts of Condo Association fiduciary duty to both execute and master. Your fiduciary duty is to the Association, not the individual Owners. While that does mean you are protecting the Owners as a whole, it also means you’re often going to be saying “no” to specific Condo Owner requests. A great example is when an Owner requests reimbursement or special treatment not covered by the Bylaws. For example, if you have a loud or noisy major project, and an Owner requests a hotel room because it’s so loud. You aren’t obligated to provide a hotel room under law, and if you provide one, this will lead other Owners to want one as well, which will rapidly add cost to the project. Therefore, to carry out your fiduciary duty, you will probably deny the request. That example is straightforward, but it starts to get complicated when someone alleges a medical need. For example, the same project is causing dust and an Owner requests a hotel because of allergies. This is where you need to consult your lawyer for the nuances of your Condo Act and specific case law that may apply – and then you must make an informed decision. 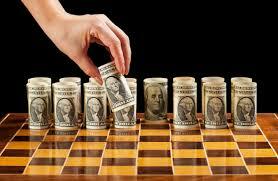 Managing the nuances of your finances is where it gets tricky. Condo Association fiduciary duty isn’t just as cut and dry as “what’s cheapest for the Condo Association.” For example, you may have amenities like a pool, gym, or electric vehicle charging that are only used by 10-15% of your Owners. Do you get rid of them to save money? Maybe you do. But you also must consider if such amenities affect the community’s value as a whole. If other nearby communities have those same amenities, you may want to keep the amenities to stay competitive. That’s a Board decision for which you need to use your own judgment. However, it gets particularly complex with issues related to safety and security. It becomes a governance and policy decision as to how much to spend on security, as you can spend an exorbitant amount of money on securing your Association. Making sure you have a steady approach and a comprehensive security plan is a way to balance cost vs. benefit. Condo Association fiduciary duty is a guiding principle for your decisions as a Condo Board. While it is the foundation for the decisions you make, you should always ensure you are gathering all the facts and making an informed decision. Don’t try to go it alone – enlist the right experts, whether they are lawyers, engineers, accountants or whatever, to guide you. But at the end of the day, remember your Condo Association fiduciary duty is to the Association – not to any one Owner.